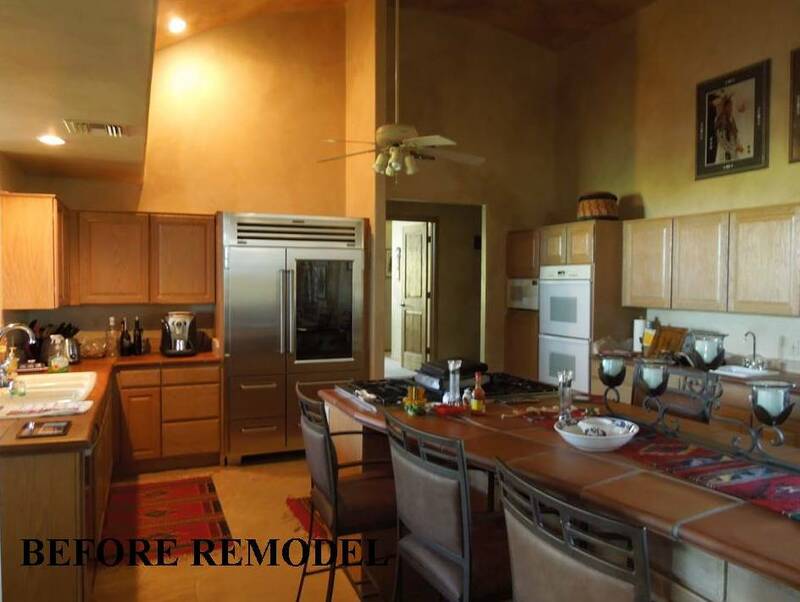 Design solution: Change the bland color scheme of existing kitchen with new painted cabinetry, granite slab on the island, painted tin ceiling and lighting which compliments the space and art work found throughout the home. Geometric lines and shapes set the tone for this contemporary condominium kitchen. Because of the open plan of this high-rise space, balance between rooms was the prime focus. – When “woman’s best friend” decides to take over your favorite reading spot, you can move to the chef’s office and keep an eye on the dishes cooking in the oven. This kitchen is the result of taking four small spaces of a “historic district” Spanish Revival Home and making a place so comfortable that falling asleep reading from your cookbook library until the early morning hours is the usual “m. o.” of this cook. 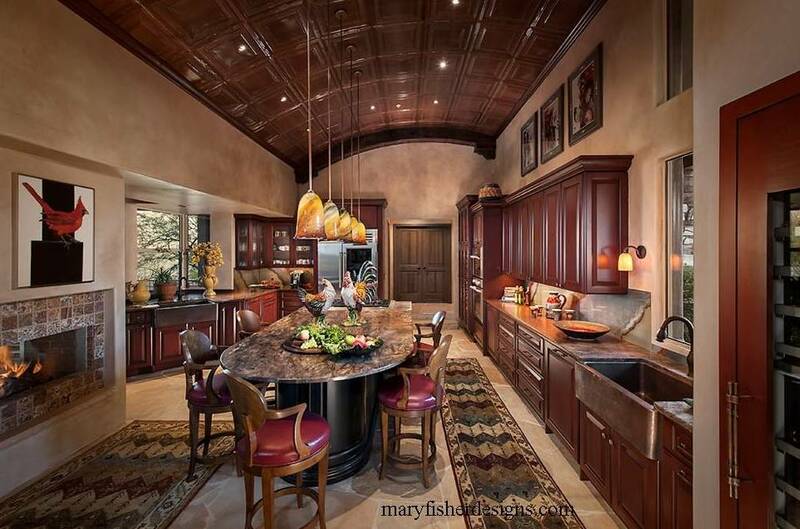 This kitchen was designed specifically to fit the special physical characteristics of the cook.